There’s nothing more exciting than playing ball under the lights. 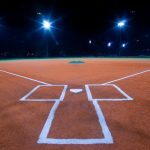 If you’re looking to make your sporting field available for use after sunset, then contact Morrill Electric for professional ball field lighting services. Morrill Electric is a regional leader in installing and maintaining any LED lighting for sports stadiums and ball fields. We have worked with various towns and cities in the Essex County in providing electrical services for events like local Little Leagues and high school sports games. Our area light installation capabilities include 100 and 150 Watt LED lights from quality name brands with competitive prices and warranties. We also specialize in residential and commercial parking lot area lighting installation and repair services. 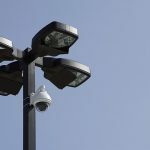 Installing outdoor parking lot lighting brings a variety of benefits to your business or commercial space. Both your employees and customers will thank you for making your business’ space feel more safe and secure. In Massachusetts, the sun sets very early during daylight savings time. 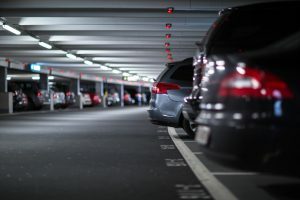 Adding outdoor lighting to your parking lot will improve visibility for those who park in the area. Morrill Electric not only installs parking lot lighting, but also sidewalk lighting, public park lighting, and street lighting services. We also specialize in residential and commercial parking lot pole lighting installation and repair services. Outdoor pole lighting will enhance visibility during the long New England weather not only in the parking lot but we also install pole lighting for sidewalks, parks, and streets.